I have previously introduced two Tomatin whsikies, the Legacy and 12 years old. Both taste good and their Hong Kong retail prices are reasonable. 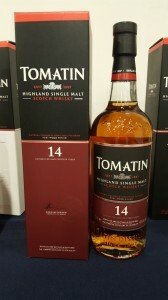 Now it is the turn to Tomatin 14 years old. This age of whisky is somehow embarrassing in market positioning, just two years older than mainstream 12 years old but far younger than prestige 18 years old. Though some people said that age is not the whole and age does not guarantee the quality, age of whisky is still an indication to some objective characters, such as price determination, expected favours from woods, and market perception to the general customers. I do not intend to discuss bout the debate about the essence of age, cost issues, marketing and professionalism in tasting and etc. I am nothing more than a layman in the whisky world. I would rather concern on what I have got and tasted. 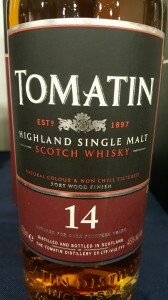 In fact this Tomatin whisky is not only focused on its age. It was firstly aged in Bourbon cask and then finished in Port pipe for a year, non-chill filtered, bottled at ABV 46%. Good bottling standard and my favour cask type finishing, worthy to have a try. Comment: As the barrel type suggested, wine favor and those oxidized, sweet dried dates and candies, hints of spices. Full body, fine chocolate, some spices and leather, toasty and woody. Medium length aftertaste, good black coffee and wood, chewing. 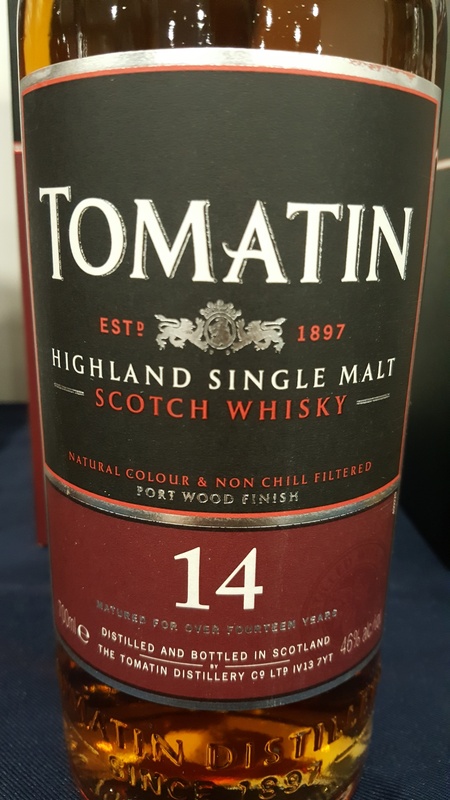 A rich and balancing dram, layered, my favored port wood ageing whisky, just love the oxidizing and chocolate favors and adequate spices and toasted wood. A very good whisky without a doubt.